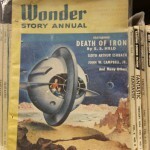 Using the inventory data generated over the past several weeks, Prof. Jason W. Ellis created a temporary finding aid for magazine issues held in the City Tech Science Fiction Collection. 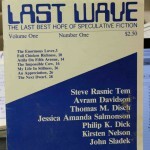 Available in PDF format here (sfcollection-magazines-inventory.xlsx.pdf) and linked on the Library/Collection page, it is organized alphabetically by title, publication date, volume/number (when needed), and shelf location (row.stack–aisle to wall.shelf–top to bottom). 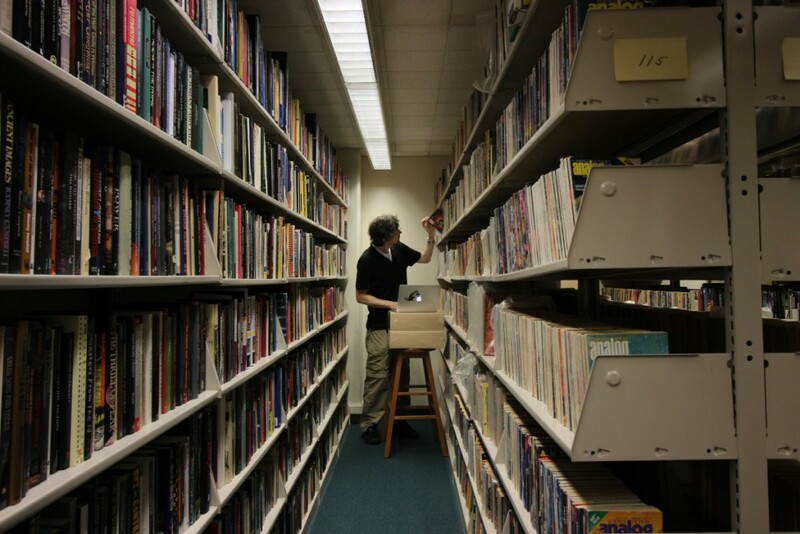 This finding aid supplements the photographic inventory of each shelf’s holdings in the collection. 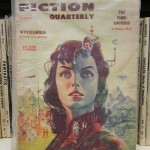 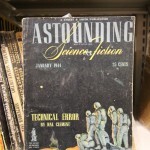 It indicates that there are 4,147 magazines on the shelves (the collection’s Ellery Queen and Alfred Hitchcock Magazines remain boxed while additional shelf space is found). 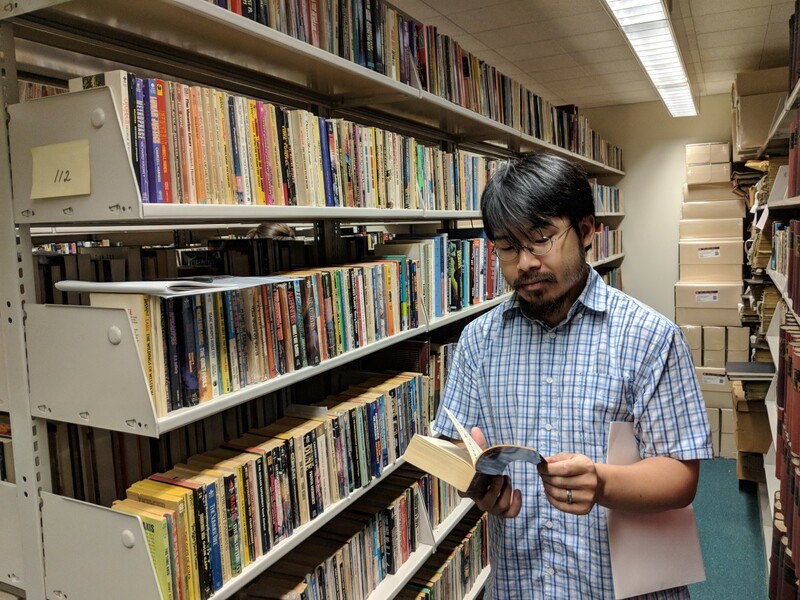 In the coming months, Prof. Ellis intends to create other temporary finding aids for the monographs, journals, anthologies, and novels in the collection, and those will be made available here when completed. 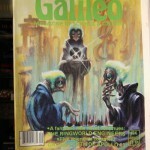 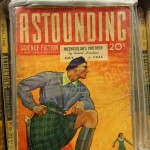 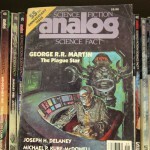 This entry was posted in science-fiction-collection, updates and tagged collection, findingaid, inventory, magazines, pdf on July 27, 2016 by Jason W. Ellis. 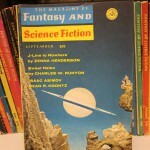 On July 21, Prof. Jason W. Ellis spent two-and-a-half hours in the library’s archives completing the magazine portion of the City Tech Science Fiction Collection’s inventory. 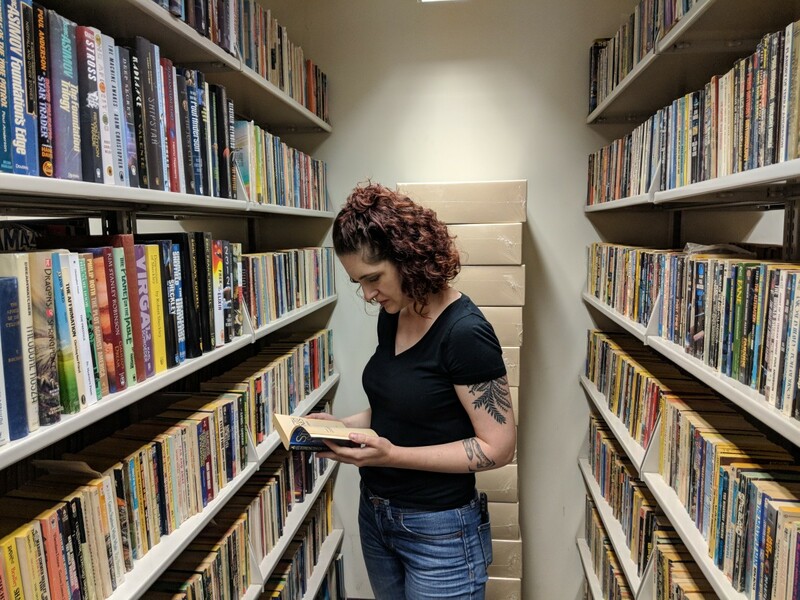 It took 17 hours total to inventory over 4,000 items! 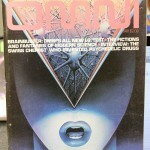 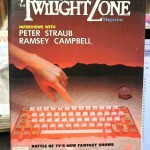 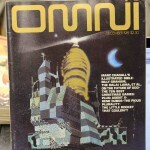 This session included The Twilight Zone, Isaac Asimov’s Science Fiction Magazine, Omni, Other Times, and Last Wave. 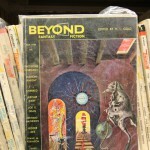 Now that the magazine inventory has been completed (at least for what is currently shelved–Ellery Queen and Alfred Hitchcock are still boxed due to limited shelf space), a temporary finding aid will be linked on the Library/Collection page and a notification will be made here on the blog when it is available. 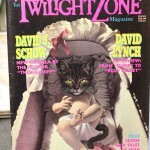 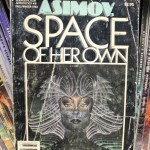 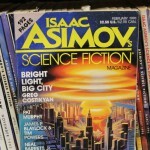 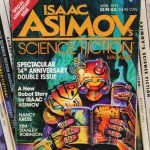 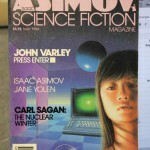 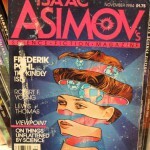 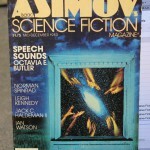 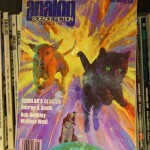 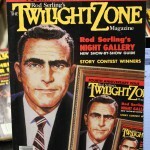 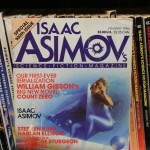 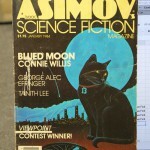 This entry was posted in science-fiction-collection, updates and tagged asimov, inventory, magazines, omni, twilightzone on July 26, 2016 by Jason W. Ellis. 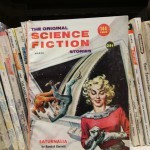 On July 20, Prof. Jason W. Ellis spent two hours in the library’s archives inventorying the magazine portion of the City Tech Science Fiction Collection. 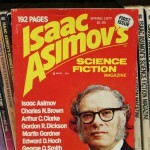 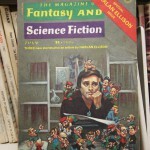 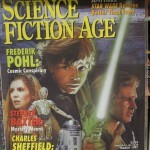 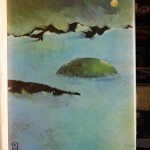 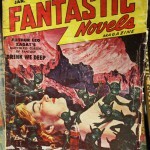 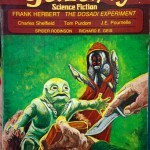 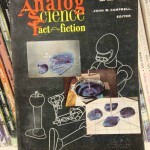 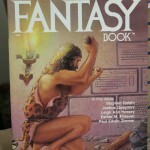 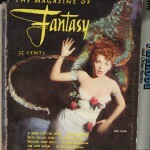 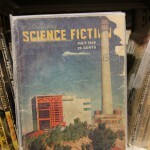 This part of the inventory included Fantastic Story, Science Fiction Age, two mislaid Magazine of Fantasy and Science Fiction issues, Fantasy Book, Fantastic Novels, Startling Stories, and Isaac Asimov’s Science Fiction Magazine. 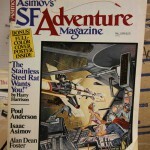 Some magazine covers from this day’s inventory are included below. 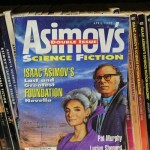 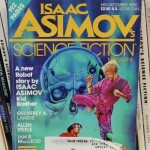 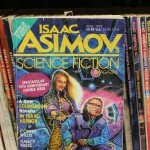 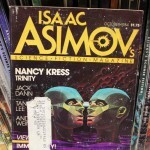 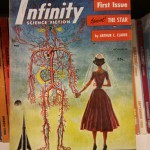 This entry was posted in science-fiction-collection, updates and tagged asimov, fantastic, fantasy, inventory, startling, unearth on July 25, 2016 by Jason W. Ellis. 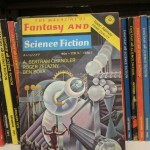 On July 14, 2016, Prof. Jason Ellis spent two-and-a-half hours in the archives inventorying the magazine portion of the City Tech Science Fiction Collection. 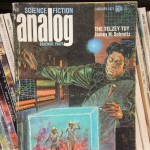 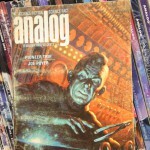 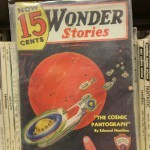 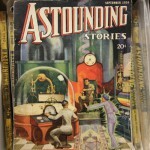 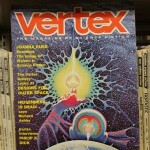 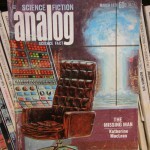 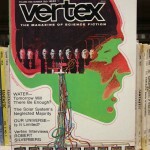 He completed Analog and row 115, and moved to row 114 to catalog Thrilling Wonder Stories, Science Fiction Plus, Vertex, Future Science Fiction, and Fantastic Stories. 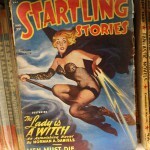 The current inventory is over 3000 items. 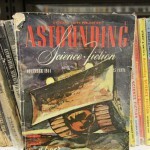 He would be further along, but it takes more time to inventory the older pulps, many of which are missing spines or the date portion of the spine. 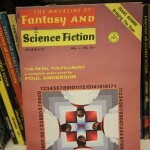 In most of these cases, he uses the Internet Speculative Fiction Database (this is one among several important research tools, which are also linked on this site’s Resources page) to look up issue information based on the cover story instead of pulling and opening the issue, which could damage the magazines before they are properly stabilized. 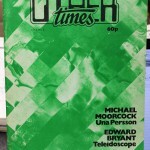 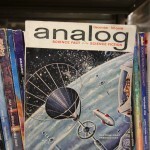 Nevertheless, the end of the magazines is in sight! 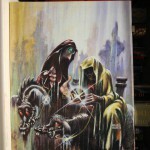 (Then, the larger portion of the inventory can begin.) 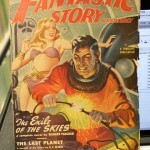 Below are images of some covers from the inventory session. 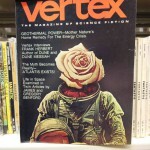 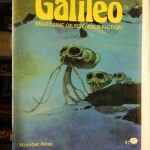 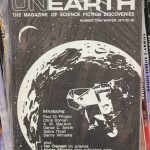 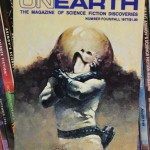 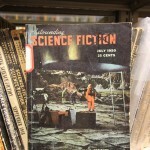 This entry was posted in science-fiction-collection, updates and tagged inventory, magazines on July 15, 2016 by Jason W. Ellis. 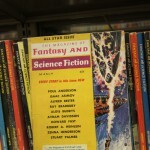 On July 13, 2016, Prof. Jason Ellis spent two hours in the library archives today inventorying an extra shelf of the Magazine of Fantasy and Science Fiction, a variety of large format magazines, OMNI, and Analog. 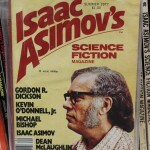 He is at the end of row 115, and hopes to turn the corner onto 114 tomorrow or next week. 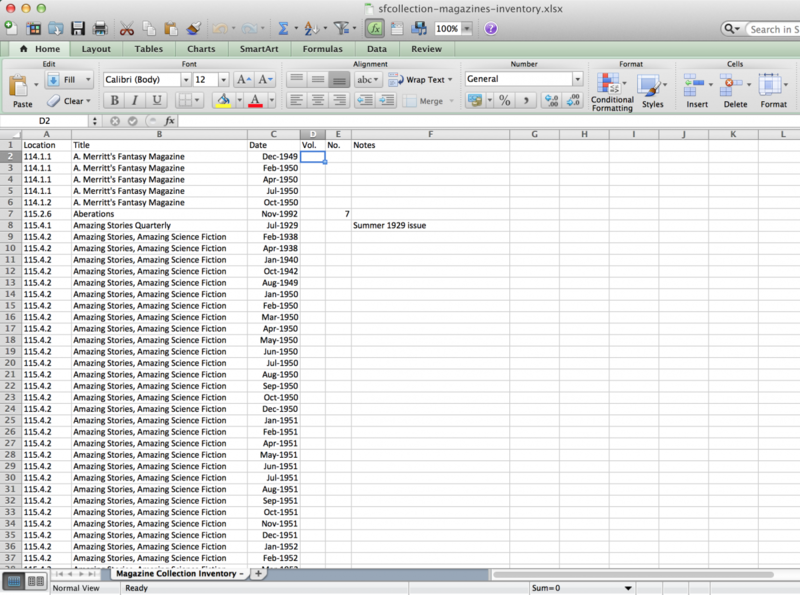 The inventory has over 2,500 items now. 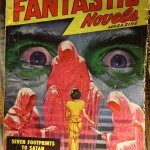 Below are some covers that he spied during the inventory. 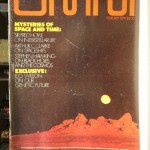 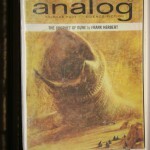 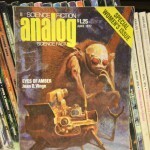 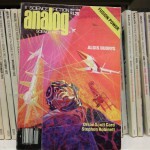 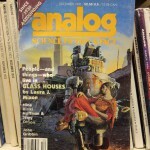 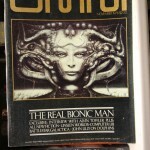 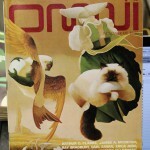 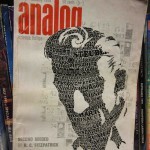 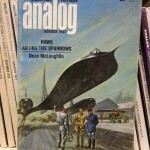 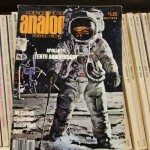 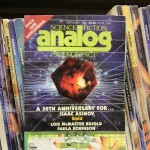 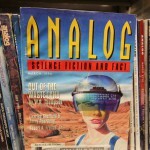 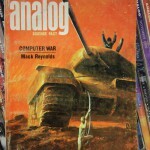 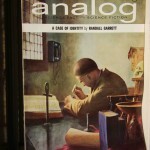 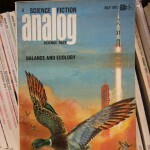 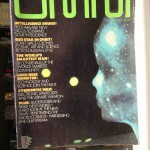 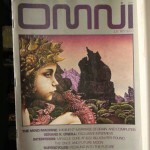 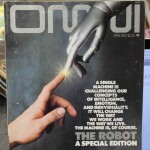 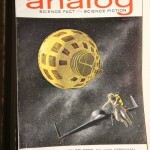 This entry was posted in science-fiction-collection, updates and tagged analog, inventory, magazines, omni on July 14, 2016 by Jason W. Ellis. 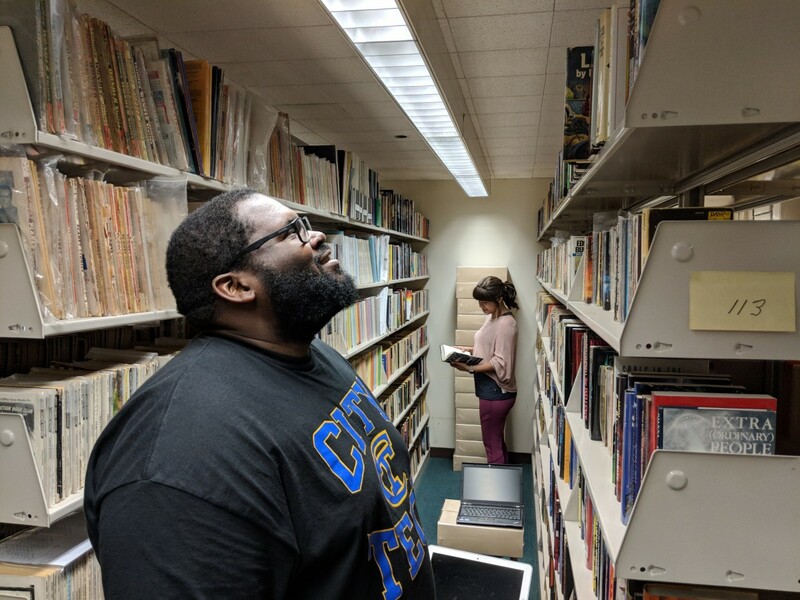 On July 7, 2016, Prof. Jason Ellis spent two hours in the library archives continuing the inventory. 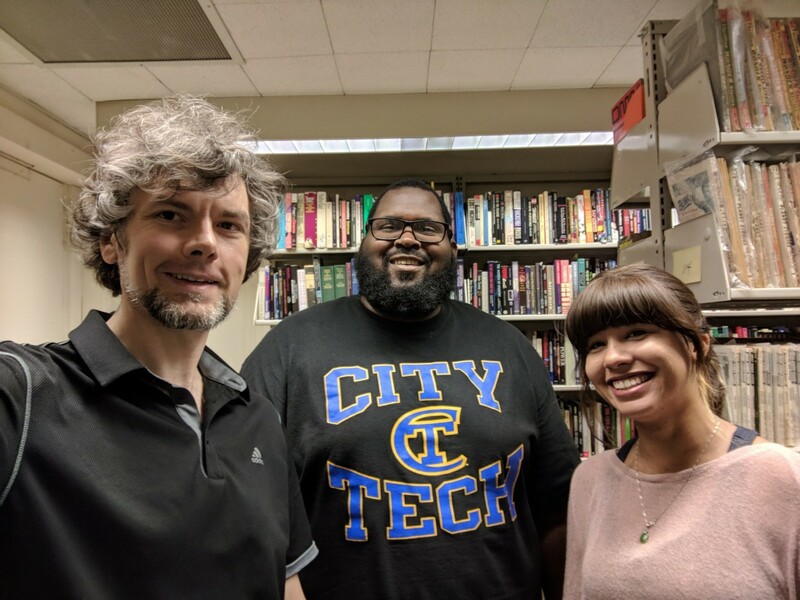 Prof. Sean Scanlan, editor of NANO: New American Notes Online, stopped by to see the collection and snapped the photo to the left. 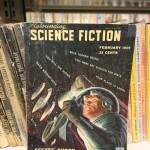 As you can see, he has progressed from the back wall to about halfway down the first row of SF magazines and the inventory has surpassed 2000 entries! 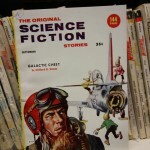 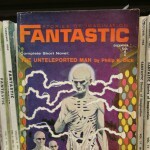 This day’s efforts focused on Astounding Science Fiction, Beyond, Space Science Fiction, and Science Fiction Stories. 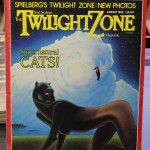 During the inventory, he took photos of some interesting magazine covers included in the gallery below. 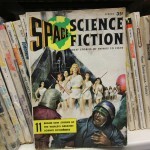 This entry was posted in science-fiction-collection, updates and tagged covers, inventory, magazines on July 13, 2016 by Jason W. Ellis. 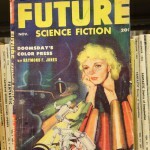 On July 5, 2016, Prof. Jason Ellis spent three hours continuing to inventory the magazine portion of the City Tech Science Fiction Collection. 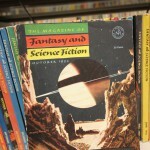 This session focused on the Magazine of Fantasy and Science Fiction, Satellite, and Infinity. 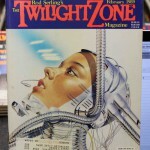 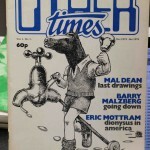 Below are some of the magazine covers that he saw while doing the inventory. 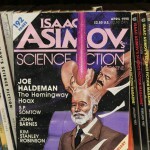 This entry was posted in science-fiction-collection, updates and tagged covers, inventory, magazines on July 12, 2016 by Jason W. Ellis. 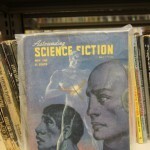 On June 29, 2016, Prof. Jason Ellis spent three hours in the library archives inventorying the SF magazines in the City Tech Science Fiction Collection. 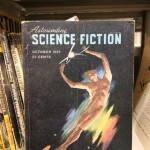 When completed, it will serve as a record of the magazines in the collection and provide visitors with a temporary finding aid (the information collected includes title, date, and shelf id). 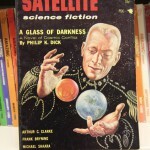 This session focused on Worlds of If and Galaxy. 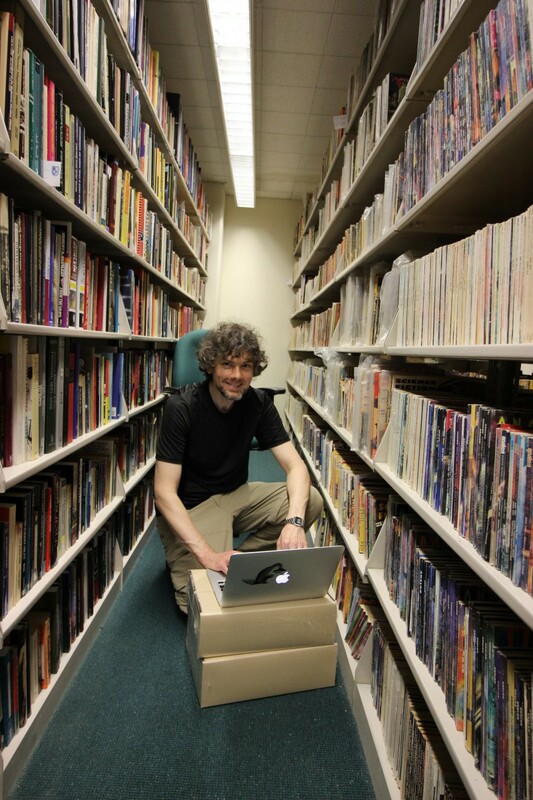 Prof. Alan Lovegreen stopped by to discuss strategies for the inventory and research tools, too. 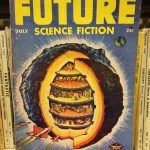 This entry was posted in science-fiction-collection, updates and tagged inventory on July 11, 2016 by Jason W. Ellis. 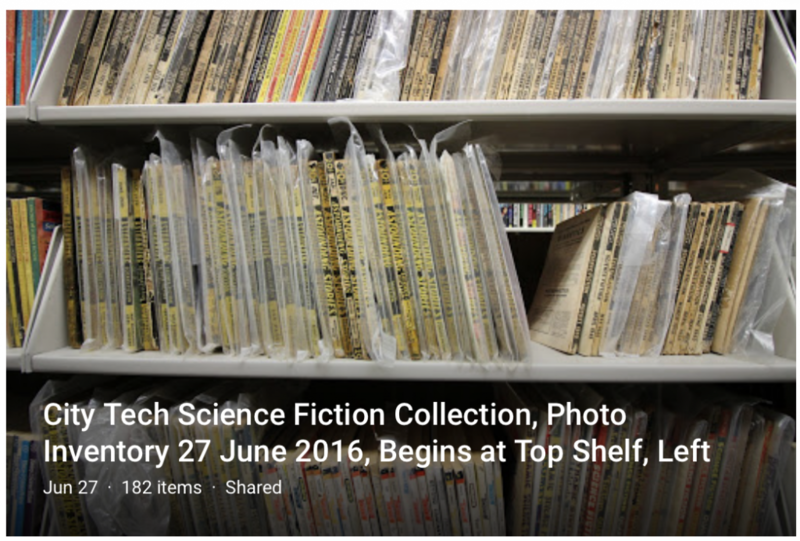 On June 27, 2016, Prof. Jason Ellis used his Canon EOS T3i and 10-18mm wide angle lens to take photos of each shelf of the City Tech Science Fiction Collection (182 shelves in all). 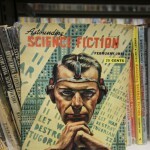 He created a new Google Photo Album available here to enable easy browsing of the shelves. 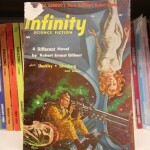 The photos are arranged beginning at the top shelf of the first bookcase and going to the bottom and repeating with the next bookcase. 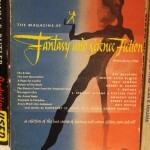 The collection is currently arranged by monographs, SF anthologies, SF magazines, journals, and novels. 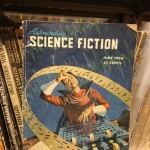 This entry was posted in science-fiction-collection, updates and tagged camera, canon, google, inventory, lens, photos on July 10, 2016 by Jason W. Ellis.